The Human Equation – Get To Know Rich Keane Jr. If you could perform anywhere in the world at any venue what venue would it be and why? I would like to perform in front of anyone who enjoys what we do. I would love to have new ears and hope they would enjoy too. The venue isn’t as important as the lives you could help, or simply entertain. What is your greatest achievement to date and why? Probably getting a chance to be on my favorite radio hosts radio show to perform with Sunshine & Bullets. If you could play any instrument other than the one you play what would it be? Piano, and Cello. I like guitar OK, but I always try to make it sound like a different instrument. Piano and Cello are my favorite tonal instruments that actually take my breath away when I hear a beautiful piece. Success, to me, is not a goal, but a road that you keep picking up people along the way. I would like to be heard by more people, but that road is where you get more ears. So success, to me is doing what I’m doing. We all know that physical album sales have been dwindling over the past few years, so as a professional musician what do you do to supplement your income? All of us in the band are currently employed in the music industry. So, its supplemental, and it’s not a bad place to be because you’re still a big part of Music. How much money and time does your band spend on any given release? What are you working on right now next release, tours or side project? We’re currently trying to finish our concept of conspiracies in a whole, but also trying to craft the songs for the rest of the album so that it isn’t a negative response. We want to paint an image of “yeah… it’s bad out there… but we can change this.” With the loss of our friend earlier this year, it’s taken a lot out of our drive to compose and put a little more into our drive to do normal human things. In short, it’s been stalled a bit, but trying to keep us from wanting to create is almost as impossible as turning off the sun. We plan to tour with the final full release. …just have to keep on composing. We’re also still waiting on our first album remix, and when we finish our current compositions, move back one step to Mechanism to do electronic remixes of that. There are about 3 songs that no one but a few has heard, but it’s on the back burner until we’re done with the more important stuff. Sunshine & Bullets originally formed in 2010 in Tampa, FL as a power trio with the goal to create a large dynamic sound with only 3 members, with both male and female vocals. They developed their unusual blend of rock music and started booking shows, building a cult following in various cities across the U.S. and made friends around the world. 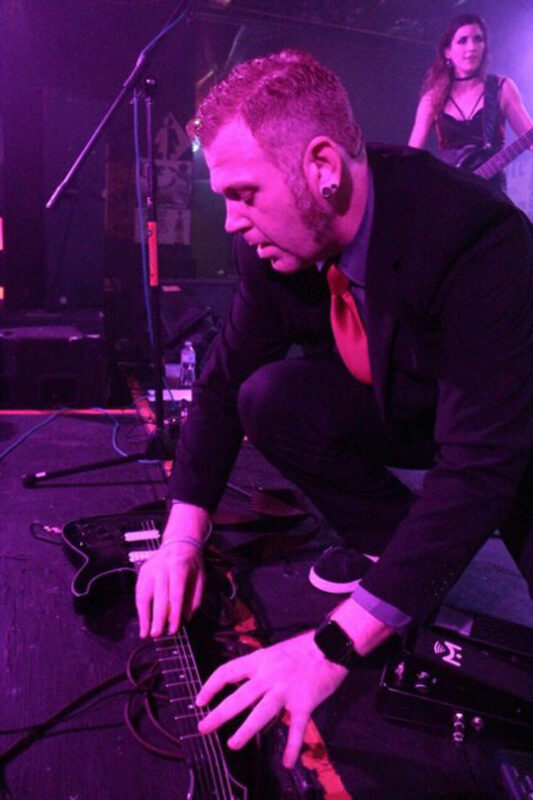 Rich Keane Jr. earned the nickname “Ginger Loko” for his red hair and wild stage antics such as playing his guitar on the floor like a piano and throwing it up in the air and catching it in time to finish a riff. Their music ranges from dark and heavy to peaceful and ambient, with Rich Keane Jr. and Amanda Hamers both singing lead, giving them comparisons to Evanescence, Linkin Park, Chevelle, A Perfect Circle, and others.